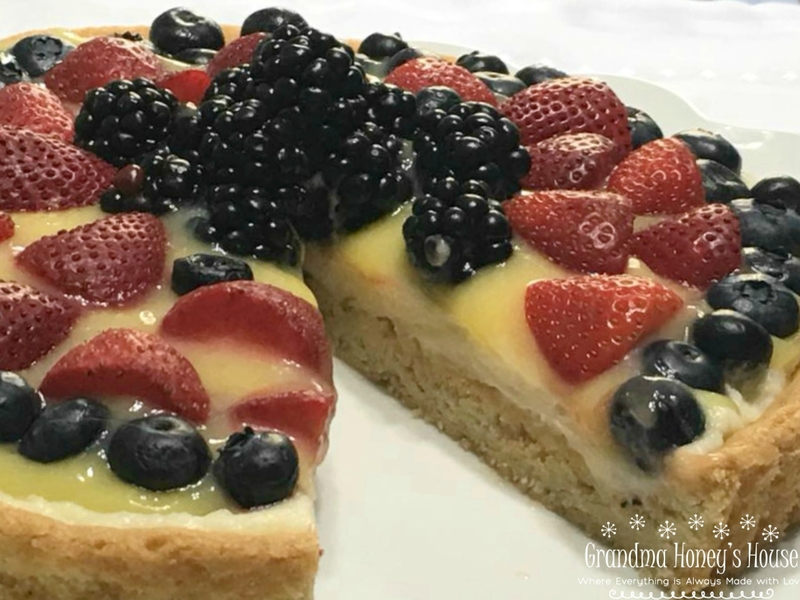 I am so excited to be sharing a recipe that I created for the Cape Cod Select Holiday Blogger Recipe Challenge a few years ago. 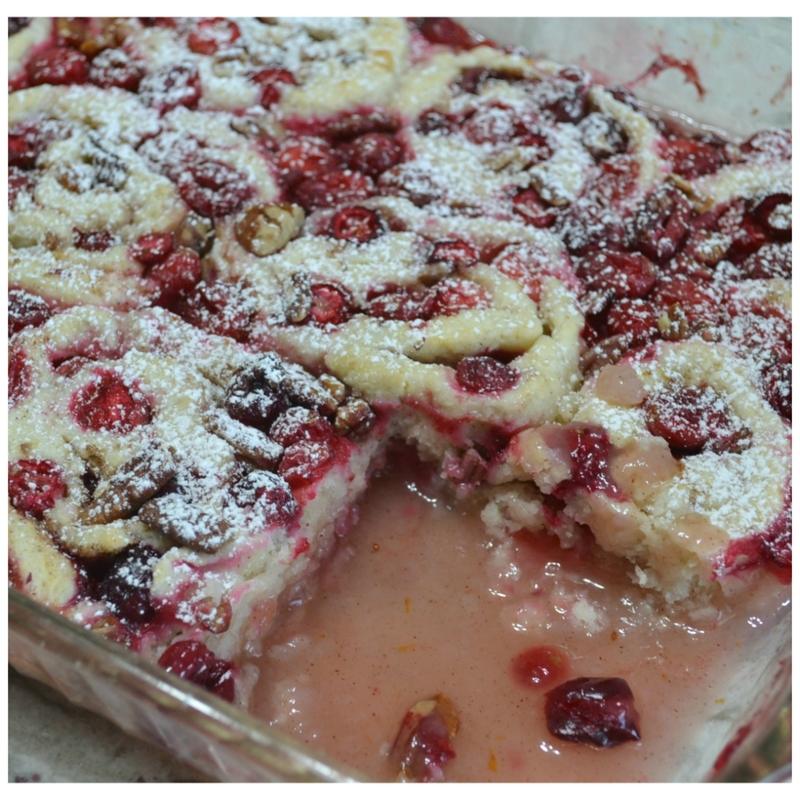 This Rustic Cranberry-Orange-Pecan Cobbler Roll was my entry. I did not win anything, but my family won by having this cobbler to eat! 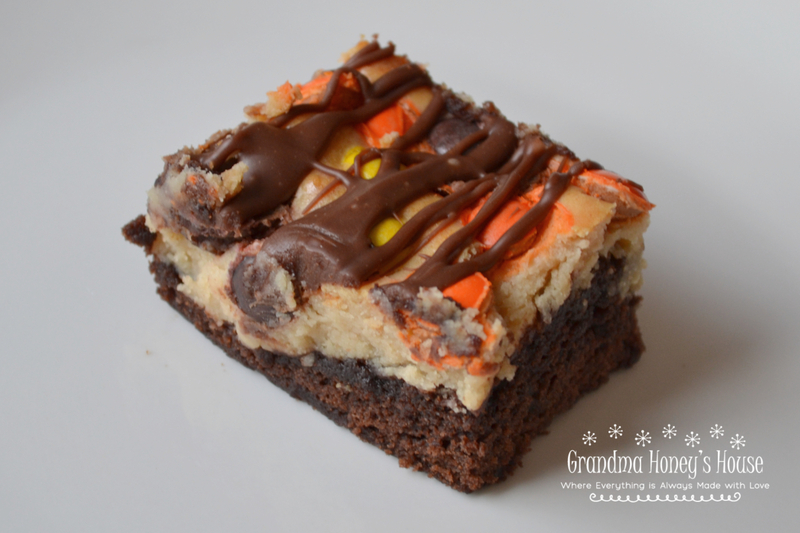 It is perfect to add to your Thanksgiving dessert table. 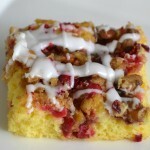 Streusel Topped Cranberry-Eggnog Cake Bars will melt in your mouth! 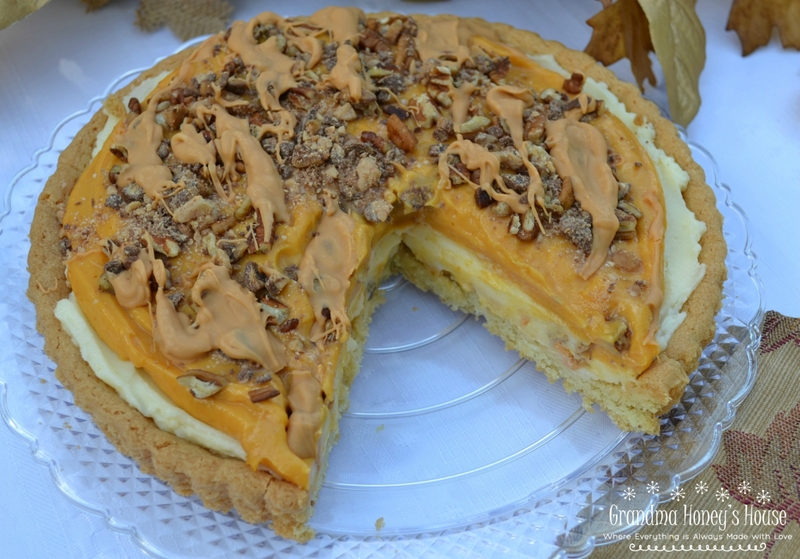 This is an easy and delicious recipe to get your fall baking started. 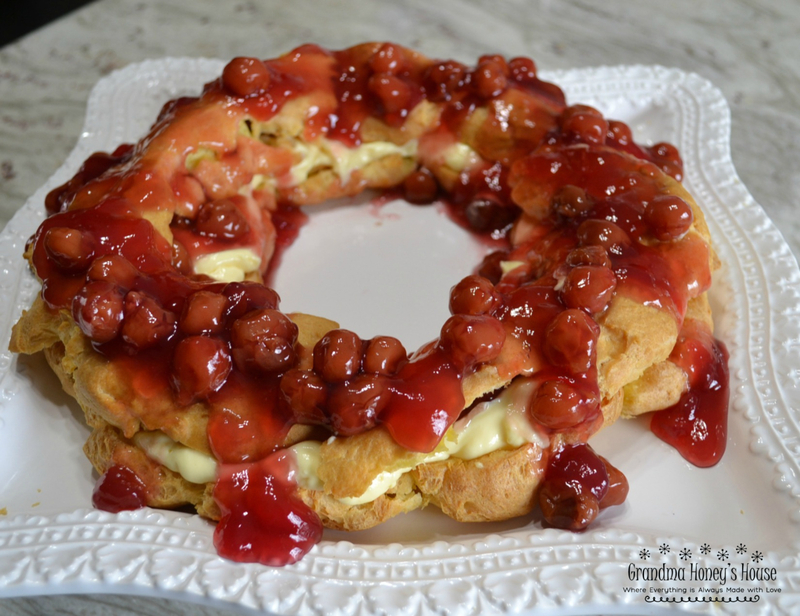 Last year at the end of the holiday season I had some eggnog and some cranberries leftover so this recipe was created. 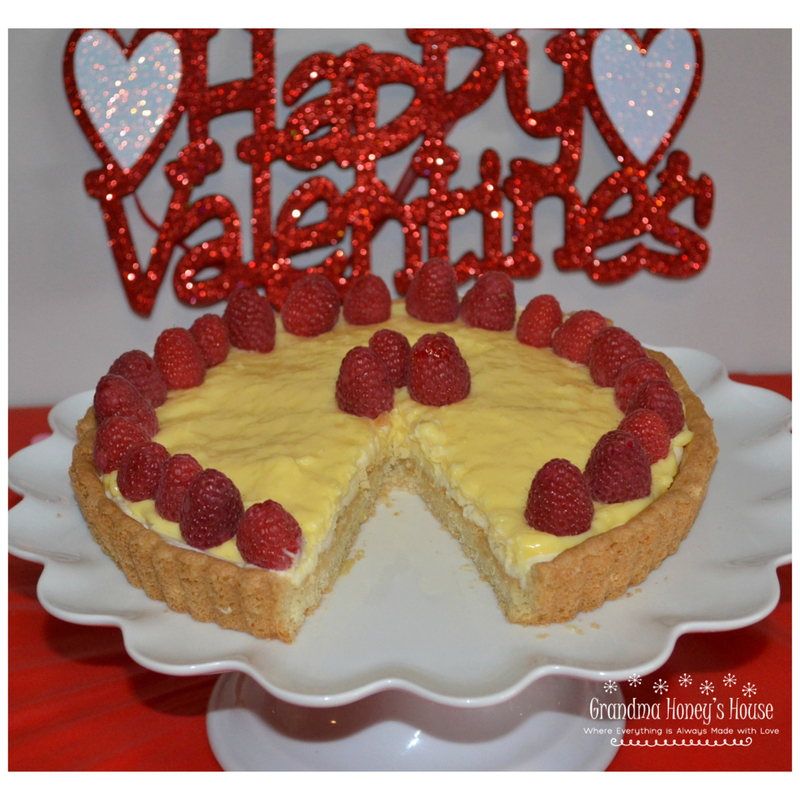 The base is a box of yellow cake mix with additional ingredients including eggnog. 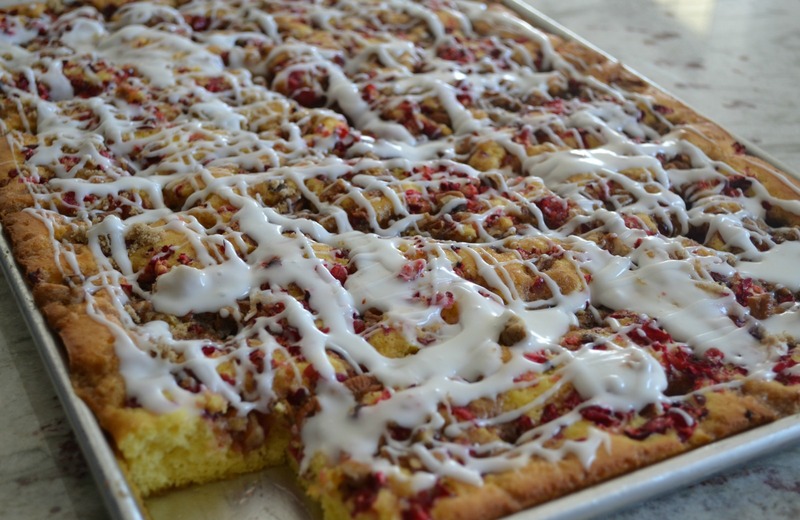 It is topped with fresh cranberries, a streusel topping and baked. 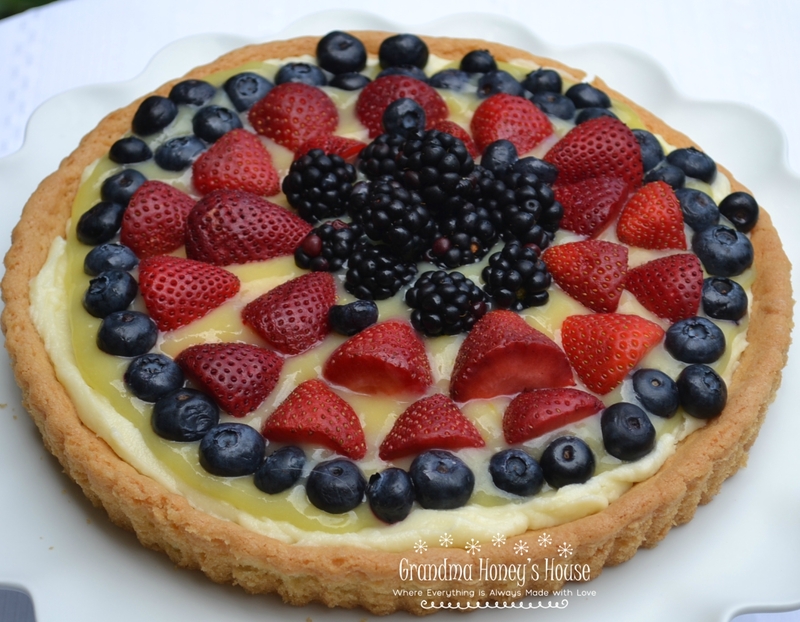 To add even more goodness, a glaze is drizzled over it at the end. 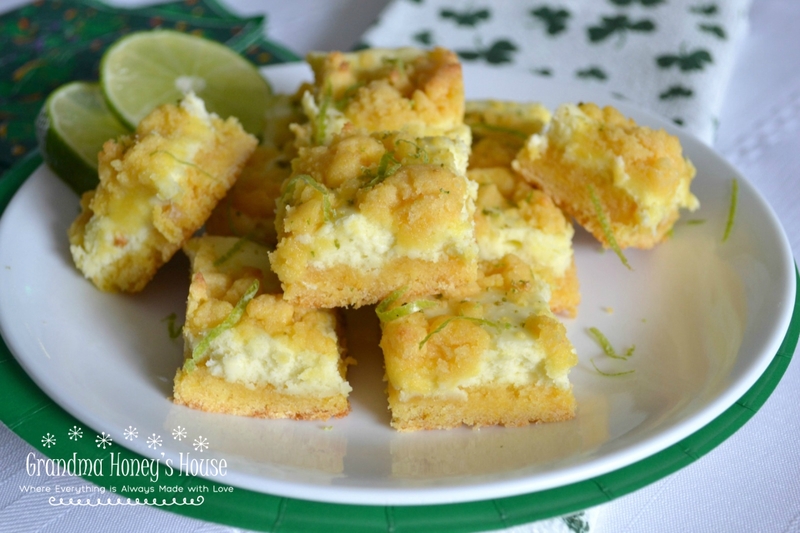 This recipe is excellent to serve for large groups or for taking to a covered dish as it makes 40 bars. 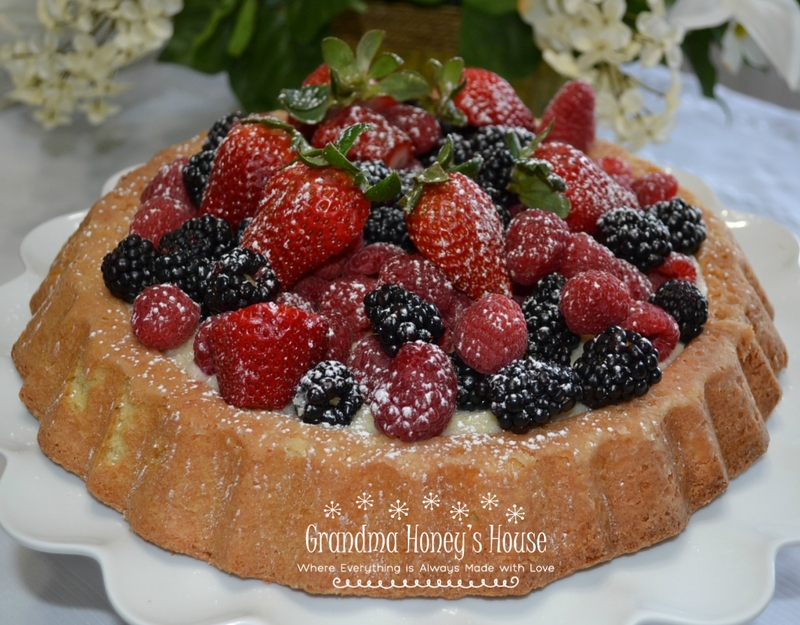 Preheat oven to 350 degrees F. Lightly spray a 15x10 inch baking pan, or jelly roll pan, with no stick baking spray. Place cranberries in a small food chopper/processor and pulse until coarsely chopped; set aside. In a large mixing bowl, combine the cake mix, pudding, eggs, oil, and eggnog. 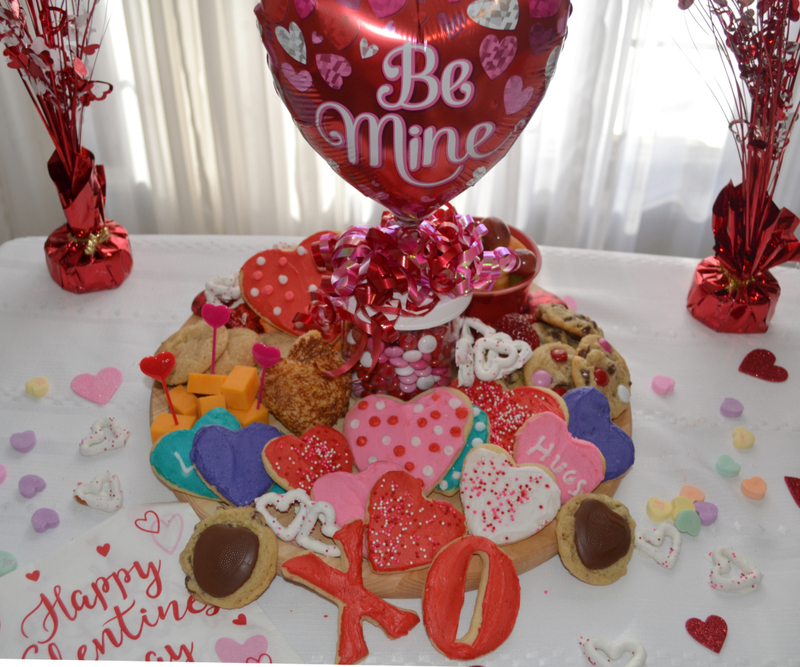 Beat together on low speed of an electric mixer until ingredients are combined. Beat on medium speed for 2 minutes. Spread batter evenly into prepared pan. Sprinkle the cranberries evenly over the cake batter. In a medium size bowl, combine the butter, brown sugar, flour, cinnamon and nuts until combined, using fingers, a fork or a pastry cutter. 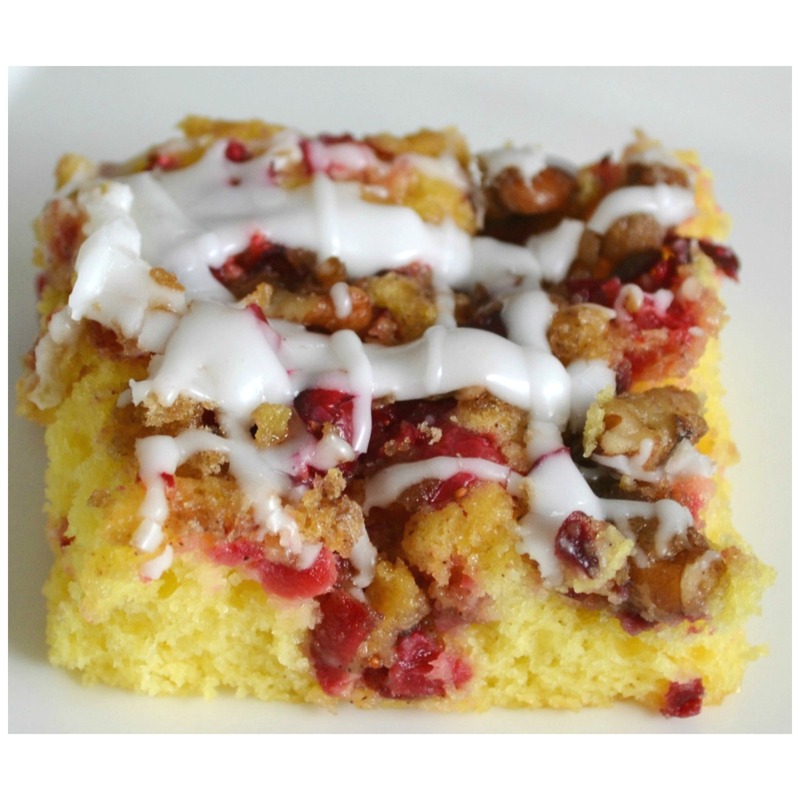 Sprinkle streusel mixture evenly over the cake batter and cranberries. Bake for 25-30 minutes or until toothpick inserted into center comes out clean. Remove from the oven and allow to cool about 10 minutes.